The main dream of people born in Libra is harmony! Libras are peaceful angels who would like to settle all disputes in the world. 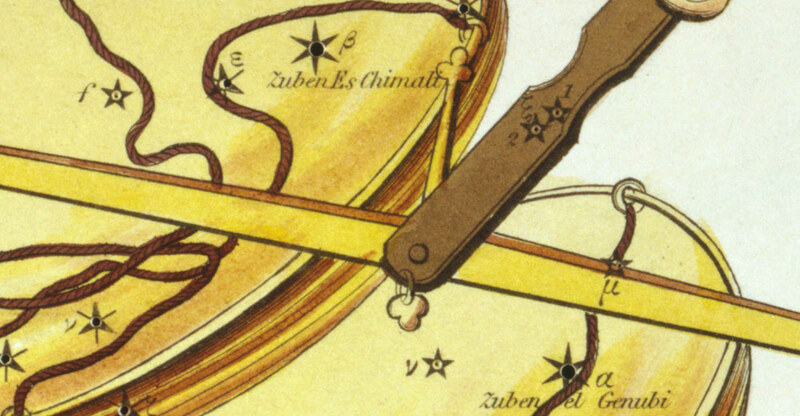 Libras are often dissatisfied because of their own uncertainty and indecision. Libras are happy to take the role of "devil's advocates". They want to be principally impartial and make you see everything from all different angles. Libras can be good lawyers and analysts. They need sufficient time for strategic decisions. Once someone starts pushing Libras to make their decisions in a hurry, they get nervous. Libras have variable pace of their life. Balancing is their lifelong challenge . Winter is too cold and summer too hot for them. Libras always desire perfect and balanced combination. Libras have problem making fundamental decisions in relationships. They like leaving the responsibility to the others. Male Libra hates injustice and you will learn answers to almost all your questions from him. It is easy to succumb to his compliments. Whatever intentions a female Libra has with you, be sure that her plan is well prepared. She often doubts herself. Take the effort to Please her by showing her how beautiful and perfect she is. The ideal of people born under the sign of Libra is the harmony. They are peaceful angels who would like to settle all disputes around. But unfortunately today's world is quite turbulent and volatile, so Libra people have to spend most of the time "balancing the scales” rather than enjoying the harmonious mood. You can hardly envy them. Their life is not one endless nirvana as you might expect. On the contrary, they are often dissatisfied because of the inherent uncertainty and indecision, what is very characteristic for them. It can go so far that Libras will hesitate in the morning, which foot to get up out of bed. This was only a joke, of course, but honestly – when you see someone hesitating where to sit in the restaurant (not to mention the endless studying of the menu), certainly a typical person born under the sign of Libra is in front of you. He or she will think for an incredibly long time if it is better to order a white wine, which suits more to the actual meal and has the better reputation in this region, or red wine, which is perhaps healthier and more popular by him or her. Well, almost unsolvable issue. Not for you, but certainly for Libra. When start the debate other characteristics come into play. You will be surprised how smart and careful is this person. Even if his / her IQ would not be above average, just the mere fact that Libras constantly analyze the pros and cons, refine their thinking and outlook. They will assume the role of the devil's advocate with pleasure and discuss all aspects of any issue. If you are a fan of modern touch-screen cellphones, certainly Libra will express the arguments in defense for those older pushbutton ones (even if a new touch-screen model is hiding in his / her pocket). Libra goes on principle, to see the matter impartially from all possible angles. People born under the sign of Libra are trying to think several moves ahead. They are good lawyers and analysts who need sufficient time for strategic decisions. Once someone starts to push them, they get nervous immediately because they do not like hurried decisions. Libras want to be prudent and rashness or impulsiveness of their colleagues or even worse of their superiors drives them mad. Imagine, such a person is under stress on the Exchange, seeing the constantly changing graphs, and has to quickly decide whether it is better to buy or sell the shares. Fortunately for Libra, there are also long-term investment instruments that fully meet their conservative nature. Moderateness and peacefulness are simply characteristic features of Libra. Oddly, Libra people have varying pace of life. Like the bowls of real weights vibrate before they find the proper balance, the life of Libra can be affected by totally contrasting periods. One characteristic example: Libra is able to lazily lie around watching TV (for many months or even years), but when she or he finally gets the right idea, the scent of opportunity, or if they simply figure out that their apathy and resignation is not beneficial for the body and soul, they are able to switch the setting to a completely opposite pole, and they become suddenly active workaholics. However, this course will last only until the next swing, when they will try to compensate this sudden change. Than again Libra will yearn for the rest and peace, in order to be able carefully sort out all thoughts. Finding the balance is a challenge for Libra to whole life. Winter is often too cold and summer too hot. Libra is always looking for the perfect and balanced combination. Because Libra people love the harmony, they rarely miss the influence of the arts. From a musical composition, through the colour beauty of paintings, to the architectural design of the house – everything is naturally interesting for them. Although Libra do not need to study art, and therefore may not know that the golden ratio is 1: 1.6, but when he or she sees the picture painted in these ideal proportions, immediately will know that it is a better one. Libra man avoids extremes in judgements and opinions. He is able to identify with others and in fact with anything different. The Libra man is incomparable in the pursuit of peace and balance. The love for art, culture and everything aesthetic is vital for this man. Politeness and willingness to compromise are his typical personality traits. The longing for the ideal – the human relation, the perfect partnership – is constantly present in the mind of the Libra man. It may not be an intellectual with glasses on the nose, but still you can find out answers to almost all your questions when you meet him. The Libra man can rationalize everything, even your mutual love. The sense of justice and prudence are typical personality traits of this zodiac sign. The Libra man hates inequality and prejudice, what, however, can one day easily turn against you. When you say to him that somebody hurt you, instead of the immediate understanding the Libra man is able to start an “investigation”, in which the whole case should be fairly and impartially judged. Instead of simply hugging you and saying sympathetically: “It’s a dog eat dog world” – what something you would expect doing in such a moment. Venus gave him the mysteries of Cupid strategy. The Libra man is able to dose all the velvet words exactly as is appropriate and necessary (as on the pharmacy scales). The Libra man will whisper softly into your ears when he feels that his every compliment can fall on a fertile soil and germinate in a common love. Its easy to succumb to such neat flattery. Surely you will recognize politeness, kindness and familiarity as his distinct personality traits. Libra men have problems making resolute decisions in relationships and love. If he sees that you are willing to decide instead, he gladly hands over such responsibility to you. But beware, if the consequences prove that the decision was wrong, the Libra man will blame you and no one else. If you expect a quick offer of marriage from the Libra man, probably you will have to be the first one who expresses it loudly. Conversely, if you see that your relationship is ruined, again, you will have to be the first who definitively ends it, because the Libra man would be able to prolong it indefinitely. Unfortunately, the decisiveness is really not the natural personality trait of any Libra man. But if there is a perfect match between you and the Libra man, you can look forward to a nice and comfortable relationship, because these men are hospitable and like to spend on beauty and happiness. The aesthetic observation of things is very characteristic for the Libra woman‘s personality, as well as the desire for balance, harmony and beauty. The woman keeps on top of things, what plays an important role in her life – her uniformity and elegance are significant personality traits. Her interests include art, aesthetics, good taste, peace and quite generally also the „refinement” of the lifestyle. The Libra woman is the one from all the zodiac signs, in whose home you will feel most comfortable and safe. Libra woman may be cute as a pink doll, but only at the first sight, because thanks to the rational cold logic there is a piece of man inside her. Be careful, you can be defeated in chess right on the first date. Whatever the Libra woman plans with you it has certainly the form of a coherent plan. While deeply in love, she will thoroughly explore her feelings and will certainly not fall into your arms only for your beautiful blue eyes. And if so, then be sure that the next day the Libra women will think otherwise, and your blue eyes will no more be the extraordinary spell that would charm her till the end of life. Carefulness and cunningness are her natural personality traits. Libra women are usually clever, but they will not show it ostentatiously. Their personality is usually very modest. It is also important to know that these women prefer relationships and not the solitude. Being alone is like to have just one pan of the scales in hand, what is clearly not a harmonious state. When Libra woman finds a partner, she will certainly try to make their common way of life fair. It will not be a woman who would bind as an iron ball to man‘s leg; just to worry about her. She is looking for the ideal balance how to divide the work, hobbies and leisure between the man and woman. Politeness and willingness to compromise are her essential personality traits. Because it is not only a woman but also the Libra, she often do not trust to her physical beauty much and is constantly looking for imperfections. Please her and often tell her how beautiful and excellent she is. When the Libra women will hear the praise and compliments, she will bloom like a rose and will be even more beautiful.